Destination Erie brings in the Strong Towns speaker to talk Erie economy, overcoming outdated ideas, and more. 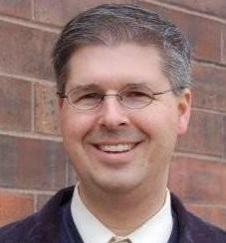 Charles Marohn has been a civil engineer, a city planner, and a blogger. Now, he is the co-founder and president of Strong Towns, and he will be in Erie Dec. 11 to speak in the Destination Erie series. Strong Towns is a nonprofit organization that helps America's cities become models for growth in the post-suburban economy. Marohn will discuss his thoughts on how to revamp Erie's small-town economy by building the city around its people, overcoming outdated ideas, and using current assets to create a city with national economic advantages. Marohn will present these Strong Towns ideas as part of his "Curbside Chat," this Thursday at 7 p.m. at the Jefferson Educational Society, located at 3207 State St.
Ellie Hartleb: How did you become interested in the financial means of America's small cities? Charles Marohn: I worked for a number of years as a civil engineer and then as a planner with cities. I thought I was doing really good work and when I stepped back and looked what I had done, I saw it wasn't working. Then I asked myself, "Why, when we have had so many years of really intense growth, are our small cities living so hand-to-mouth?" For me it was really about answering the question of why things aren't working. EH: In one sentence, what is Strong Towns? CM: We are a nonprofit organization that deals with the intersection land views, transportation, and public finance. EH: Destination Erie aims to created a thriving, educated, green, livable, and connected Erie community. What are your thoughts on this program, and what have you seen that has worked/has not worked? CM: The program itself sounds wonderful. Anytime you have an active program to engage with people and have new thoughts and new ideas from outside the community to come in, it's a good program. By engaging a broad spectrum of ideas we can find the ones that fit us best. EH: What problems do you see in Erie's economy and what can the region begin doing to address and solve those problems? CM: Obviously Erie is a place that has not done well, by national standards, in the post World War II phase of development. As we've gotten away from shipping and manufacturing, Erie has struggled more than other places. The economy emerging today, the post-suburban economy let's say, is really stacked up to favor a place like Erie. Erie has some natural walkable neighborhoods, a strong downtown, its shipping. All those things are coming together to make a city that has some national advantages. The problem is, how do you attract and retain those intellectual assets that are there?" EH: What are three main reasons someone should attend your lecture on Thursday, December 12? CM: They will have their eyes opened, regarding some of the basic assumptions of the way we try to create growth and jobs in America.They will get a good understanding of what it takes to create an economically strong place. They will be motivated and inspired because the things that need to be done to make Erie more sustainable are well within the reach of the city and its residents. EH: Why should people put faith in the Strong Towns approach? CM: The Strong Towns approach really is the traditional way we've built cities for thousands of years. The traditional method of building is one that is time tested and shown to work over different cultures, time periods and continents. EH: What are some of the obstacles you've faced in starting this program, and how has the project grown because of them? CM: The obstacles I've faced are what prompted me to start Strong Towns. I worked for six years as an engineer and it frustrated me because with every project there were 15 problems that shouldn't have been problems. I went back to school to be a planner so these problems wouldn't have to be fixed by engineers. I realized the system, as it was designed and set up, just doesn't work. It was that frustration that caused me to start writing a blog. The blog has been so successful that a friend and I decided to start a nonprofit. We found that all over the country, people are hungry for doing things at the local level. EH: What do you think are the most important investments a struggling community should make to become a strong town? CM: One of the things we talk a lot about is the fact that the one-size-fits-all-solution doesn't work. What we see all over the country is 50 years of building cities around the automobile. We need to build inner cities around people. We find, as a general rule, those are the ones that are the most financially successful. EH: What makes Erie's economy unique compared to other Strong Towns you have worked with? CM: In the last six weeks, I have been in New Jersey, Mississippi, Washington, Vancouver, Wyoming, Kansas... So you see that that's a very broad, cross-section of the country. But they're all the same. There are regional nuances, but what we're finding around the country is all the same. The fundamental things that are causing problems are going to be the same as around the country because we all have the same approach. One of the core problems we have is that are places aren't unique enough and they need to become more unique. I wind up reading all these local plans and they all start out the same; they go on and on about how they're so unique, when in reality they have the same strip malls, the same split--level homes, etcetera. The error in one is going to be the error in all of them. We used to have cities that were like rain forests in their complexities and diversity, and now they're like cornfields. They're all the same. EH: What is the goal of helping a multitude of struggling cities rebuild their economies? CM: As a country, we're only going to be as strong as our cities are strong. There's a misunderstanding that if we make the national economy strong, the cities will be able to ride that wave of prosperity. We need to look for how to make our cities engines of strength. We [as a country] have taken the normal way of building a strong country and inverted it. It's not a trickle down approach, it's a bottom up approach. If we're going to have weak cities, there's no way we can make up for that at the federal level. Ellie Hartleb can be contacted at eHartleb@ErieReader.com.